The MAPS Education Foundation is establishing four new scholarships for graduating High School Seniors. 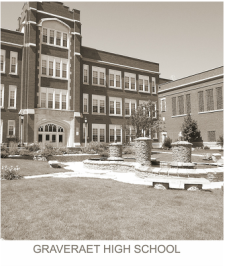 The Scholarships are named for Marquette Senior High School, Graveraet, Bishop Baraga Central and John D. Pierce. 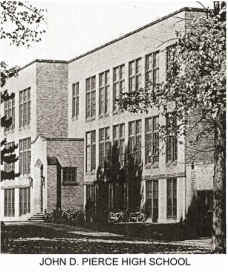 Opening in 1965, Marquette Senior High School has been graduating local students for over 50 years. In honoring that milestone with a new scholarship, we feel tribute must be paid to the three local high schools that preceded MSHS. Graveraet, Bishop Baraga Central and John D. Pierce graduates have also contributed to the fabric of the Marquette Community and its growth and success through the years. 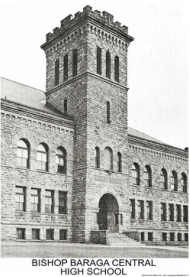 Although two of the school buildings no longer grace our city, they were an integral part of who we are and where we came from. Please consider making a donation to one of the new scholarships in honor of a loved one or your own graduating class.​ If you donate to honor your class, friend or loved one in the class of ‘66; for example you could gift $19.66 or $66.00 to a Heritage Scholarship.